Eczema on your lips - What’s the cure? Your lips are one of the most sensitive parts of your body, and having eczema on your lips (Eczematous Cheilitis) is no laughing matter. Having dry lips caused by eczema or dry lips caused by an external irritant should be treated or at least managed to avoid it flaring up and out of control. In extreme cases of Eczematous Cheilitis, it can even prevent you from opening your mouth and can even stop people wanting to eat due to the pain of opening and closing their mouth. In a hurry. Buy the best lip balm here! Not to mention the emotional and physical side of having eczema on your lips which could affect your relationship with your partner or loved one. One question we get asked a lot is ‘ Can you use a lip balm? ‘ The answer is YES! We use one that contains Shea Butter which is widely used to treat eczema. 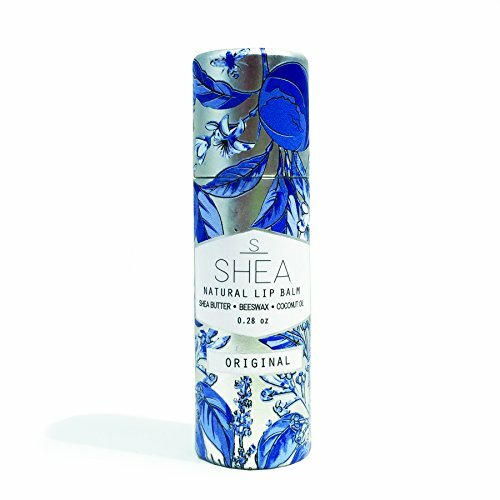 It’s called Shea Brand Lip Balm and it’s available from Amazon. As long as you make sure you buy one that has the following. Using an eczema lip balm won’t cure (Eczematous Cheilitis) but it will help manage the condition and if you don’t have eczema but suffer from dry skin it can cure it 100% and prevent it coming back. Like all forms of eczema, it is not contagious or infectious. The hardest part of having eczema on your lips is the physical appearance and debilitating effect it has on your mental wellbeing and your relationship. Why are your lips so dry and sensitive? Your lips are made up of 5 layers of skin and contain nerve endings. Our lips are very sensitive to touch and sensitive to heat, and cold, they are also very susceptible to adverse weather conditions which can damage the outer layer of skin which causes dry chapped lips. They also contain an extremely high number of nerve endings that classify the lips as an erogenous zone. Erogenous zones are parts of the body that have heightened sensitivity and stimulation. The skin on your lips has no hairs and does not have any sweat glands. 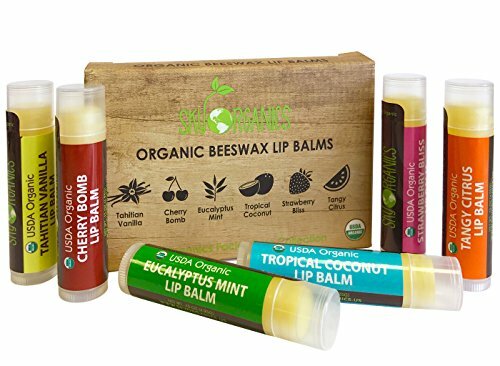 Meaning they have no protective layer of body oils or sweat to help keep them soft and smooth, hence the reason you should use an Organic Lip Balm. What does eczema on the lips look like? Eczema on your lips can manifest itself in different forms which are individual to each person. However, there are some common symptoms which can help you identify if you simply have dry skin on your lips or if you have Eczema on your lips. Dry itching skin could simply be just that, it may not mean you have eczema on your lips which is far more serious. You should always consult your doctor for a diagnosis. The perioral skin and vermilion margin (where the red mucosa meets the skin) are the most commonly affected parts of your lips and indicate Eczematous Cheilitis. Having a history of eczema in your family will also be a contributing factor in identifying eczema on your lips. It’s will take a bit of investigating to find out if you have simple dry lips or if you have eczema. You must seek help and advice from your Doctor, Gp and Medical Practitioner if you believe your dry lips is eczema. They will examine not only your lips but also inside your mouth to help identify the symptoms. This is not a painful process unless your condition is so bad that it is painful to open your mouth. If this is the case moisturize them as much as possible before going to your appointment. Never try any form of medication without advice from your Doctor. Who gets Eczema on their lips and why? There are two main reasons why people get eczema on their lips and they are Endogenous and Exogenous. Endogenous is an inherent characteristic inherited from a parent. The most common example of this is Atopic Dermatitis. It is unavoidable and there is no way of telling if you will have the condition at birth. Like many forms of eczema, you can and many people will grow out of the condition. For those that don’t grow out of the condition, managing it is the only form of treatment. Unfortunately for many people, there is no cure. Exogenous is a reaction to something external or an allergic reaction to something. This can be avoided and treated. Finding the root cause and eliminating it is the answer. At least a third of all case of eczema on the lips are caused by external factors and irritants include lipsticks and other cosmetic products, Toothpaste, fatty foods, medications and weather conditions like wind and rain. Exogenous Symptoms– This would involve identifying the root cause and eliminating it. Consider having a food allergy test to see if you are having an allergic reaction to certain foods. Avoiding the root cause can instantly reduce the symptoms and in many cases cure your dry lips. The hardest part is identifying what is causing your dry lips. Make a diary of the dates and times of your flare-up and try to piece together and similarities on those days ie: Did you eat nuts on those days, did you wear lipstick? Trying to spot the irritant is the best way to avoid any further problems. We also highly recommend Food allergy testing. We did this for our son and after many years of dealing with flare-ups we found out that he was allergic to milk. He now drinks soya milk. This instantly reduced is dry and sore lips. Endogenous Symptoms – Unfortunately this can not always be avoided. Even though it may be an inherited skin condition you should still take steps to control and manage the symptoms. The number one method for treating eczema is.. Moisturize and eczema on your lips is no different. The area is simply more sensitive and you need to be that little bit more careful what you put on them to avoid exasperating the condition. In the next part of this article, we will share with you some of the best lip balms and moisturizers we have found to be suitable for dry skin on your lips and eczema on your lips. 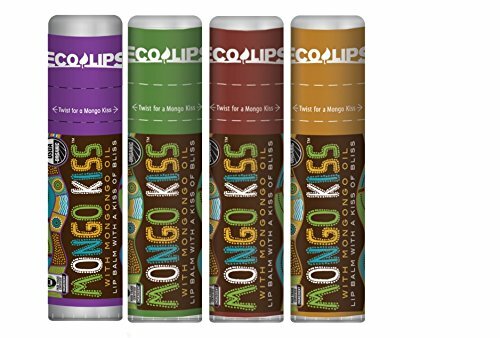 NON-GMO PROJECT VERIFIED, GLUTEN FREE, NON-TOXIC LIP BALM: no chemicals, no petroleum, no soy, no corn. Nothing but high quality organic ingredients manufactured at the optimal temperature to preserve the vital nutrients in the ingredients giving you the smoothest, most effective lip balm experience. CRUELTY FREE AND EARTH FRIENDLY: Our lip balms are never tested on animals. Our lip balm tube is made out of over 40% post-consumer recycled material and can be recycled. Manufacturing of this product is 100% offset with renewable energy credits. BEAUTY ROUTINE MUST-HAVE: use as a lip primer or base coat before applying your favorite lipstick or lip liner. Make your lips luscious and totally kissable! Final Thoughts on eczema on your lips. Once you have identified what is causing your dry lips then you can address treatment. More serious conditions may need stronger medical treatment provided by your Doctor. As previously mentioned if you have Exogenous Eczema then finding out what triggers your eczema will nearly if not totally cure your condition. You will still have to moisturize your lips and the Organic Lip Balms above will really help. Whenever you have eczema on a sensitive part of your body or creaming your baby, Read our article (TOP 10 CREAMS FOR BABIES WITH ECZEMA )who has sensitive skin all over, make sure you do a small test patch on their body to make sure they have no allergic reactions before applying all over. We hope you found this helpful, let us know what you use if you’ve found a great treatment for eczema on your lips.